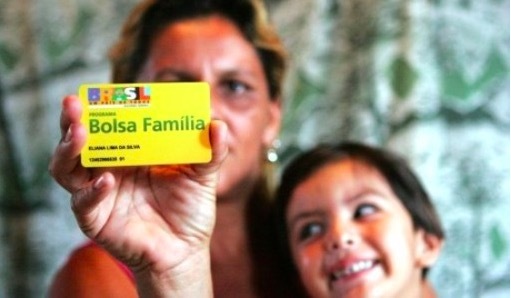 Bolsa Familia card that allows the female head-of-household to receive monthly cash installments. Accessed from the internet. Meanwhile in Brazil, significant improvements have been made in terms of poverty and hunger levels since the early 2000’s. In 2003, president Lula da Silva introduced the Bolsa Familia Program, which centralized all of Brazil’s conditional cash transfer programs into one. Due to this program in part, Brazil was able to meet the first Millenium Development Goal by 2015, to eradicate extreme poverty and hunger. The Bolsa Familia Program is a conditional cash transfer program that aims to give aid to the poorest of the population, providing that the families receiving the aid meet certain conditions. These conditions include sending the children to school, taking them in for vaccinations and routine health check-ups, and attending mandatory prenatal checkups for pregnant women. The program aims to ensure that the youth of Brazil are educated and healthy, therefore allowing the upcoming generation to enter the formal labour force and break the cycle of poverty. While previous programs only required some family members to comply with their conditions, Bolsa Familia requires the entire family to comply or risk losing their allowance. This encourages gender equality in education, since families have no choice but to send all their children to school–including their daughters. Since the program started, the chances of a 15-year-old girl being enrolled in school has increased by 21% . The money is given preferentially to the female head of household, which has had a positive effect on female empowerment. For many Brazilian women, this financial independence gives them the freedom to leave abusive partners. Furthermore, it allows women to have more say in household decision-making, including buying and using contraceptives. While conditional cash transfer programs have been controversial in the past, the success of the program depends on the conditions of the aid and on who is receiving the aid. Many believe that these cash transfer programs are simply a tool for politicians to secure votes from the poor. Furthermore, these programs are often criticized for making the poor reliant on the money rather than lifting them out of poverty. Brazil’s social development minister Tereza Campello stated that this particular program was difficult to implement, as many are opposed to giving people cash handouts. Although there are many skeptics, doubters, and opposers, the results in Brazil speak for themselves. Aside from having a strong, measurable impact on the reduction of poverty and inequality, this program has led to improvements in children’s nutrition and health, higher school attendance, reduced grade repetition, reduced entry for children into the labor market, and increased prenatal visits. 10 years after the program started, extreme poverty in Brazil dropped from 9.7% to 4.3%. It is important to keep in mind that Bolsa Familia is only one aspect of the government’s Plano Brasil Sem Miséria (Brazil Without Poverty), which also includes increased minimum wage, formalizing employment, and support to rural families. While these measures were all factors involved in the large poverty reduction, Dilma Rousseff accredits more than half of the Bolsa Familia Program to this sharp decrease. The Bolsa Familia program can also be used as a tool for collecting information and demographics to further assess what is most needed in the country. “Once people are in our database, we can offer them other benefits and target programmes at them. In this way, bolsa familia is an instrument for wider programmes. It’s a platform,” says Campello.